I remember when I was a little girl, a way back when….. back to the review, I used to love getting Fab ice-lollies from the ice-cream van when it came. The coo strawberry, the ice-cream bit then they chocolate with the hundreds and thousands. Nothing was better. I used to try to eat it backwards as I’ve described the white ice-cream section is the best bit of the lolly I think anyway. What about you? 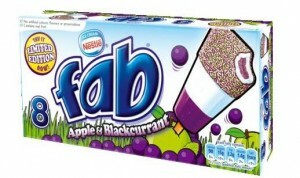 Fab has brought out a new limited edition Apple and Blackcurrant. I was asked to review them and I couldn’t wait to get them. They weren’t the easiest to find, but I’m hoping more supermarkets will be stocking them. I managed to get them in Asda and bought a few boxes, which I am glad I did. These are worth every penny. I really enjoyed the Apple and Blackcurrant, they were a nice change from the originals but I have to say the original Fab Ice-lollies are my favourite. The boys don’t have the same long term relationship with the original flavour as I do so they were big fans of the Apple and Blackcurrant flavour. I would recommend these, if you are looking for some ice-lollies. They are only out for the summer and are very yummy, so you better get your skates on to the shops and get some. Fab are also doing a competition on their website where you and your children can design a den. You download the plan and colour it in or stick on what you would like to see in your den. Why not enter, you stand a chance to win a Dream Den Makeover, a family holiday to a Haven holiday park and a Photobook from Snapfish. I know I am going to give it a go. 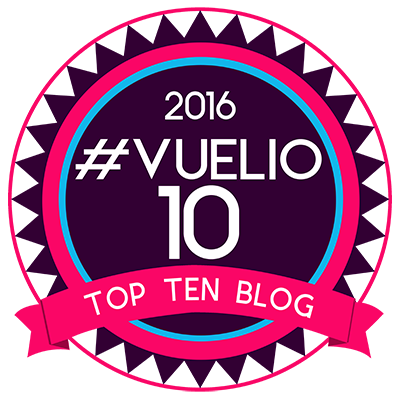 Disclaimer:- I was sent some vouchers and a bag from Fab to go and buy some ice-lollies to review.